ALIEN ENCOUNTERS IV: The Black Science Fiction, Fantasy & Horror Experience Returns! 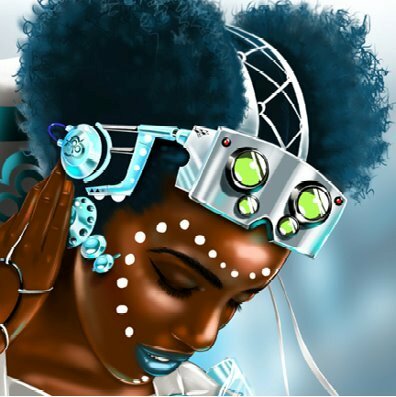 Once again, Alien Encounters, the annual conference for Black speculative and imaginative fiction, film and music – which serves as a venue for both education and entertainment – returns to Atlanta in October, which is now recognized worldwide as Black Speculative Fiction month! The Atlanta-based State of Black Science Fiction collective and the Auburn Avenue Research Library on African American Culture and History have collaborated to offer exciting, informational and interactive discussions, film screenings, book signings and much more that are all free and open to the public. 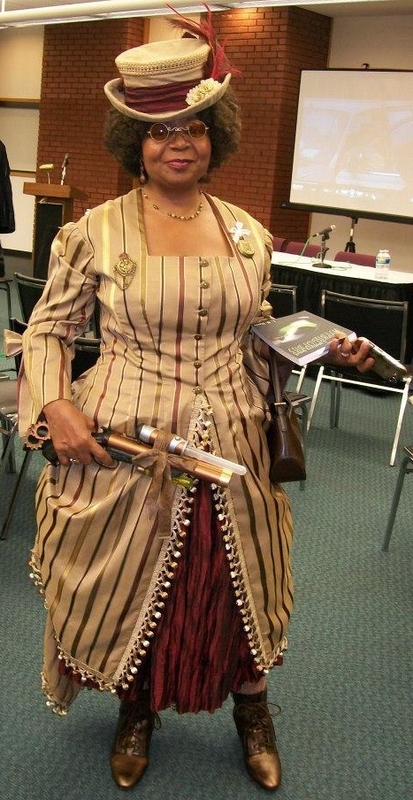 “About four years ago, I went to the Decatur Book Festival, and found authors of color who wrote in these genres (i.e., science fiction, fantasy, horror),” the original event organizer, Sharon E. Robinson, says. Come dressed in your best Steamfunk and Dieselfunk costumes as we enjoy Black Speculative Fiction short films and meet their creators. Some of the films shown will be Evolve, from director Kia T. Barbee; Rite of Passage: The Dentist of Westminster, from director Balogun Ojetade and Kina Sky, from director Coretta Singer. Drop the children off at Grandma’s and parade over to the BQE Lounge with us and let’s party the night away! 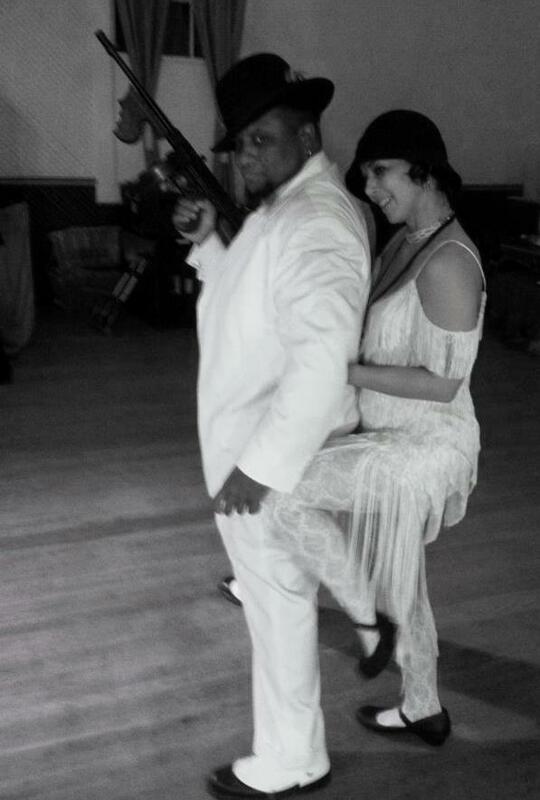 Steampunk and Dieselpunk cosplayers, Mark & Theresa Curtis. Join authors and creators of the Steamfunk feature film, Rite of Passage, Milton Davis and Balogun Ojetade and Steampunk and cosplayer, actor and maker of Steampunk costumes and props, Mark Curtis for a discussion on Steamfunk and Dieselfunk, the long ignored stories of the Black experience during the Victorian Era and the Great World Wars told through retrofuturistic Fantasy and Science Fiction. Join horror authors Brandon Massey and Crystal Connor for this exciting panel as they discuss horror fiction from a Black point of view. Join artist and Curator of OnyxCon, Joseph Wheeler III, comic book store owner, collector and publisher, Tony Cade and renowned comic book and animation creator and illustrator, Dawud Anyabwile as they discuss the conscious community of Black comic books and graphic novels. This groundbreaking art exhibition, by renowned artist James Eugene, is a vibrant, afrofuturistic visual fusion of Africana ancestry, non-Western cosmologies and fantasy techno-culture. Join James Eugene Thursday, October 3, 2013 at 7:00pm, for a discussion on his art, his creative process and the borderless Black future, rooted firmly in the African Diasporic experience, that he envisions. There you have it. A fun-filled weekend of Blacktastic Science Fiction, Funk, Fantasy & Horror you absolutely do NOT want to miss! 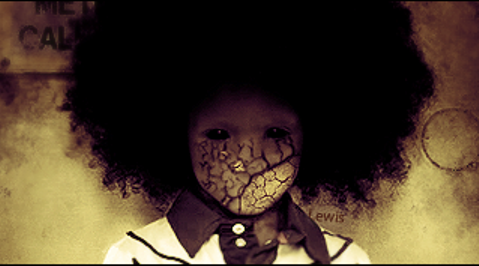 Posted by Balogun on August 29, 2013 in Afrofuturism, atlanta, Dieselpunk, Film, Horror, Panel Discussion, Science Fiction, Speculative Fiction, Steamfunk, Steampunk, Supernatural and tagged Alien Encounters, black science fiction, dieselpunk, steamfunk.